For those of you who missed this on Image of the week, and for those who emailed for this picture.. here it is. Hope you can spot the photographer (thats me !) inside the eye-lens. Click picture for different sizes. Nobody's eyes were harmed in making of this picture. No flash was fired. It was taken in natural light. 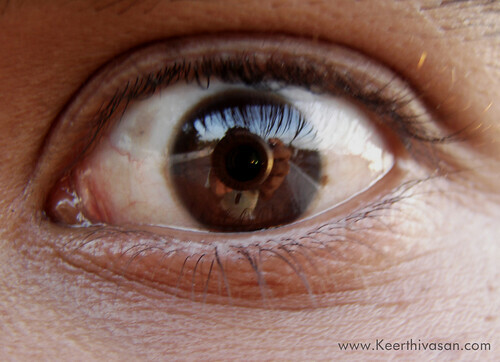 And by the way, the eyes belong to Srikanth.